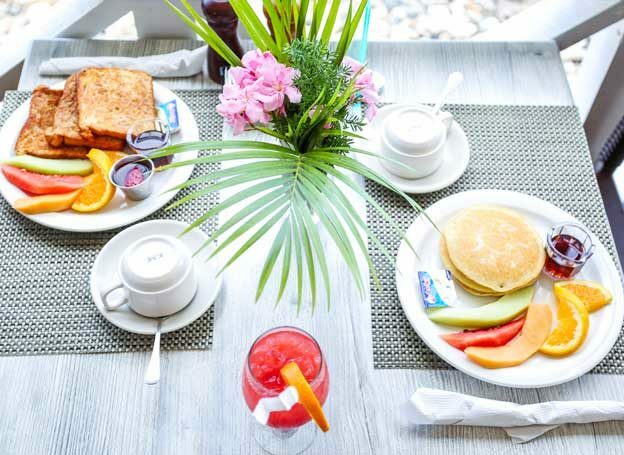 All of our rooms are literally 30 seconds from the beach and we have a choice of Beachfront rooms, Beachrear rooms and Tropical Yard rooms, with various bed configurations available. 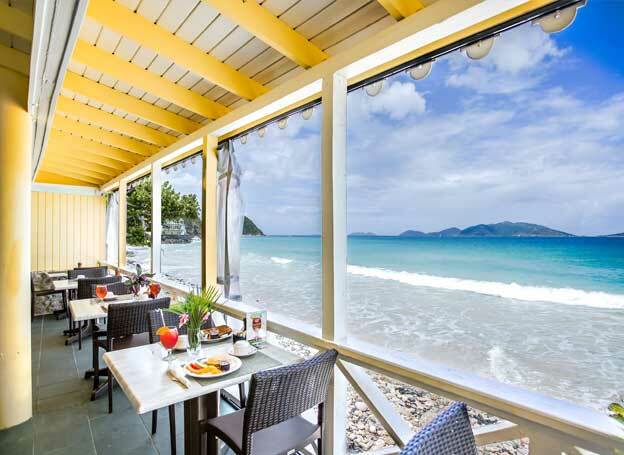 We are located on a luxurious, white sand beach in Little Apple Bay on Tortola's North Shore. Our charming 35 room hotel offers the ultimate in breathtaking scenery and total relaxation. 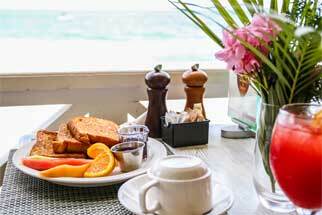 At our casual, intimate hideaway, you will wake up to the sound of gently lapping waves and cool sea breezes. From the private balconies or terraces of our deluxe beachfront accommodations, enjoy spectacular views and colorful sunsets, or choose from one of our cheerfully appointed tropical garden rooms. All rooms are air-conditioned. Whatever your choice, our warm and friendly staff will make you feel at home. Our wonderful junior suites have beautiful, private balconies with a sea view overlooking the crystal clear waters and white sandy beach of Apple Bay. You are literally only a few steps away from the beach and a dip in the warm BVI waters! Walk from your room to our restaurant for breakfast and then stroll down to the beach for a touch of snorkling or if you’re feeling more adventurous and there are waves, have a go at surfing! Six of our suites are also available with additional an intimate sitting area with sleeper sofa. 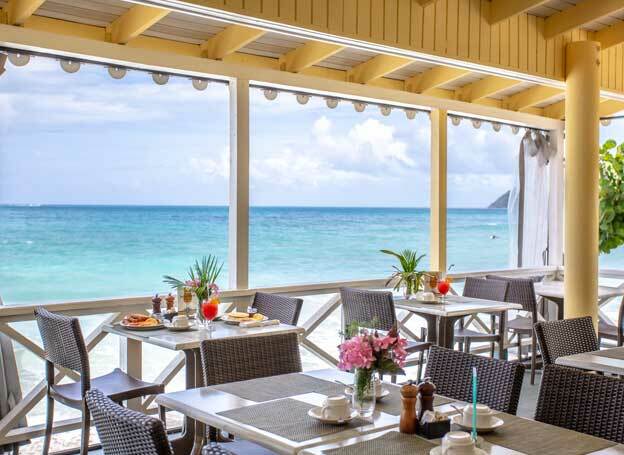 Sebastian’s seaside restaurant is one of the islands favorite dining spots offering both continental and Caribbean cuisine featuring fresh seafood, steaks and vegetarian dishes.